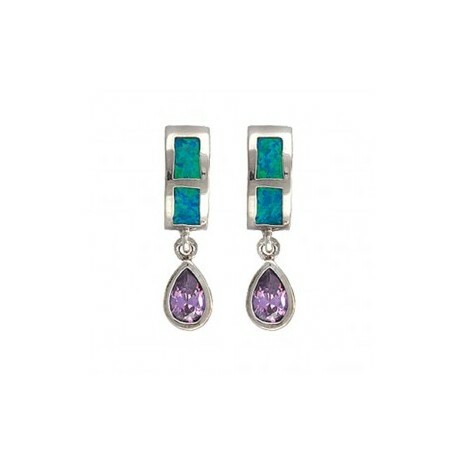 River Lights Purple Tears earrings use colored stones set in silver finishes.These elegantly small drop earrings feature small rectangular shaped blue opal colored stones set in earring posts, dangling tiny pear shaped amethyst colored stones set in bright silver finish. Silver plate over a brass base. 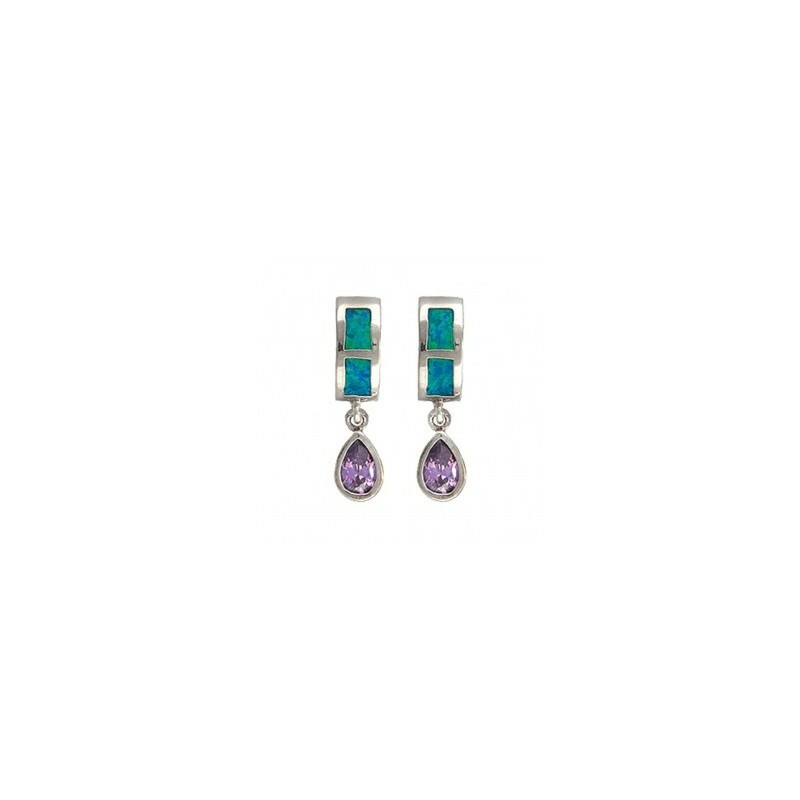 Colored cubic zirconia stones. Imitation opal stones.